Recruiters from each company select students recommended through university programs and invite them to the relatively secretive events to interview with SolarCity, SpaceX or Tesla. 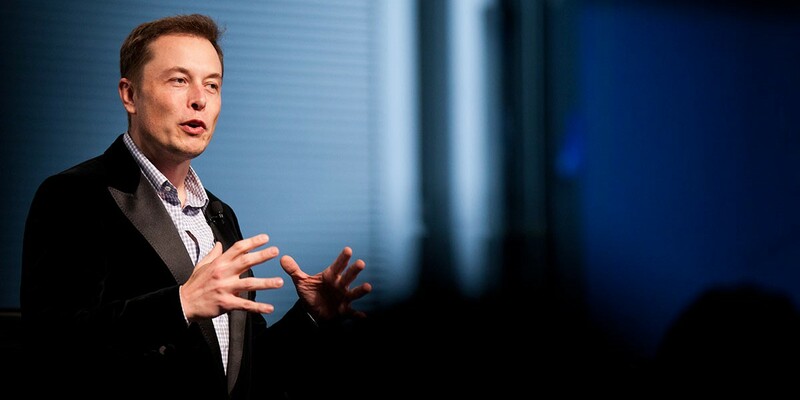 These events are the latest examples of synergy between Musk’s companies. SpaceX previously shared some technology and equipment with Tesla and bought solar bonds from SolarCity, while Tesla supplies energy storage systems to the solar installer, which in turn installed charging stations for Tesla’s electric vehicles and solar for many Tesla customers. In addition to these events, Musk’s companies are going on hiring sprees across the country. Tesla recently hired several hundred new employees for the Gigafactory in Nevada in just one day according to sources and SolarCity recently announced its intention to attempt a similar feat by hiring 500 new sales workers though simultaneous recruiting events on Wednesday. Tesla, SpaceX and SolarCity are not new to rapid growth, but 2015 as been a particularly exceptional year so far in term of new hires with both Tesla and SolarCity adding more than 4,000 employees to their respective headcount and the recent events point to a push to expand their workforce ahead of several upcoming projects. With the election coming up, clean tech subsidies and job creation are likely to become prominent topics again. During the 2012 election, presidential candidate Mitt Romney criticized the Obama administration for picking “losers” when investing in clean technologies, while especially mentioning Tesla Motors. Musk took the statement personally and even tried to contact the Romney clan. Three years later, Musk’s companies are in a much stronger position, yet the CEO came under fire earlier this year after an article from the LA Times claimed his companies were receiving $4.9 billion in subsidies. These subsidies are awarded to competitors, issued over a 20 year period and they are often linked to job creation requirements, but little attention was paid to the companies’ growing workforce. Most of Tesla’s hires in the coming months and years should be to staff the company’s battery factory which they plan to bring online as soon as spring 2016. At full capacity, which is expected around 2020, Tesla could create as many as 6,500 new jobs through the initial Gigafactory…and considering the factory is referred to as “Gigafactory 1”, we could imagine them announcing another. In addition to the Gigafactory’s workforce, Tesla is expected to significantly increase the number of employees working at the Fremont factory as the company aims at increasing its annual vehicle output at the location from 50,000 to 500,000 vehicles within the next 5 years. Of course, the automaker will also need to expand its worldwide sales and service workforce if it plans to handle its new production output. The company is also planning to expand its internship programs which, like for most tech companies, are already an important part of the hiring process. Tesla CTO JB Straubel recently announced a new internship program for the summer 2016 at the Gigafactory. 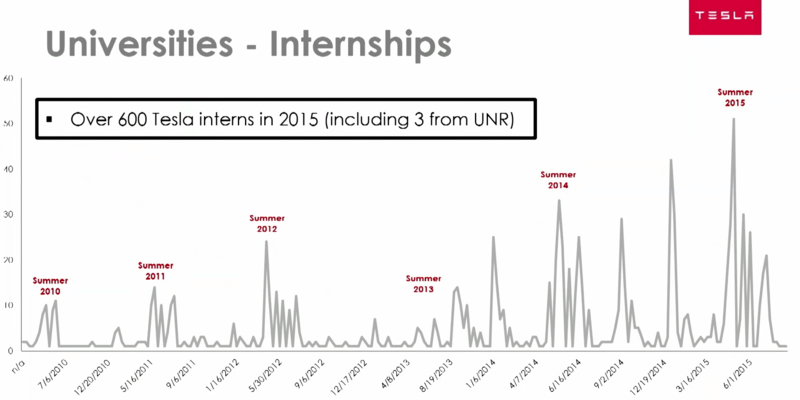 Tesla hires about one-third of their interns as full-time employees according to Straubel. SolarCity has a Gigafactory of its own where the company plans to produce 1 gigawatt of high-efficiency solar panels annually. The plant is scheduled to start production in early 2016 and could create as much as 5,000 new jobs. Although the company already started hiring for the factory, the 500 positions they will try to fill Wednesday have nothing to do with their solar panel manufacturing effort. Instead, the company is trying to expand in salesforce in ten key states. According to CEO Lyndon Rive, SolarCity is adding 500 new employees a month on average in 2015. With the expansion of its sales team and the factory coming online next year, the company doesn’t seem to be planing to slowdown its growth in the short-term, but recently proposed legislation in California could pull the brakes on the company’s plans. As for SpaceX, unlike its two “sister companies”, the Space Exploration Technologies Corporation is not publicly traded and therefore we have limited information about its headcount, but the company has disclosed having over 4,000 employees. After a failure during a cargo mission for NASA in June, the company is looking at a return-to-flight launch in December. Like Tesla and SolarCity, SpaceX is also expected to significantly expand its workforce, especially if they plan to deliver on the 60+ missions they have on manifest. The company also plans to get into satellite manufacturing and to operate a constellation of ~4,000 communication satellites, which could explain the company’s growing hiring effort. Musk often describes a company simply as a group of people getting together to build a product. Well Musk’s groups of people are growing bigger by the day through these new recruiting efforts.